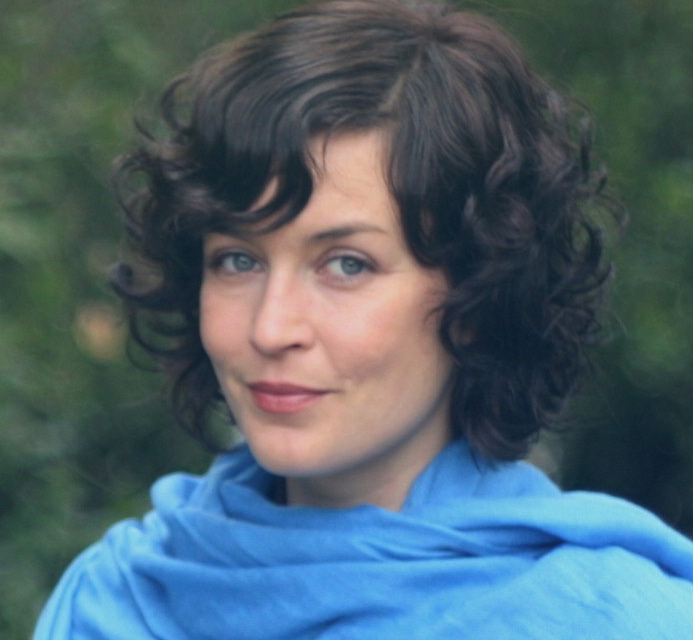 Abby Wills (MA, E-RYT) is a Movement, Mindfulness + Social Emotional Development Specialist for Full Circle Consulting Systems, Inc., and is on faculty at Barnsdall Arts in Los Angeles, where she delivers programming in middle and high schools. Abby is also the co-founder and program director of Shanti Generation, through which she has produced several yoga DVD's for kids and teachers. What are the special considerations in teaching yoga to adolescents, as opposed to younger children or adults? Adolescence is a distinct period of development, marked by significant neurobiological changes that effect every aspect of a person’s life including social interaction, self-perception and world view. In yoga and mindful practice sessions, we honor the transformation teens are experiencing. 1) Teens generally want and need to rest more than adults and younger children. I often start with a resting activity and weave in more rest periods throughout class, always ending class with a full body relaxation. 2) One of the hallmarks of adolescents that tends to be most concerning for adults is the biological decrease in the ability to safely asses risk. I encourage teens to take healthy risks and spend time discussing the process of making conscious decisions. 3) Teens also tend to be more self-conscious about their bodies than younger children. I take great care in creating a safe place for them to explore movement which often means working with classroom layout differently. 4) In contrast to typical yoga classes with adults, we spend more time in dialogue, both as a whole group and in small groups and with partners. I also encourage journaling as self expression in my classes with teens. Overall, the practices are couched in experiences that guide teens in making strong connections to how the practices are relevant to their daily lives. How do you keep kids safe, especially when they’re doing partner poses or more challenging poses? I always start by facilitating teens in creating a list of agreements that serve to keep everyone safe and cultivate respect in class. We talk about what it means to support each other and be supported. Respecting the limits of our bodies and our classmates bodies is one the main themes woven throughout classes. I only offer challenges and partner work when I am certain the agreements are being honored. When instructing partner poses and challenging poses, I begin with student demonstrations. Giving choices and modifications is essential, as well. Have you found any cultural differences in teaching yoga to youth from different backgrounds? Absolutely. My approach is “people first.” Every person has a culture. Getting to know my students values is essential to developing an effective program, which is why I am a true believer in emergent curriculum. That said, I can never fully know the path each of my students walks. Cultural humility is key to serving youth of diverse backgrounds. Instead of imposing my own ideas and concepts of yoga and mindful practices, I give students time to reflect and find meaning from their own perspectives, which in turn, impacts my approach and delivery. For example, in the 2016-2017 school year, I worked with a group of freshman who collectively expressed their perception of the work “mindfulness” to mean “hyper-vigilance.” Fortunately, I found this out in the first class because I started with the inquiry, “what does mindfulness mean to you?” Knowing where they were coming from helped shape our experience from the very beginning. It’s critical to keep in mind that words translate differently and bear different meanings across cultures. In your opinion, how much training should classroom teachers have before introducing yoga or other forms of mindful movement to their students? In my opinion, practice is even more important than training. If a teacher embodies yoga and mindfulness based on a commitment to practice, and they have a working knowledge of child development, they can begin to integrate practices with very little formal training, to the extent they feel equipped. In contrast, a teacher can devote hundreds of hours to training and not be fluent in how to teach the practices without a dedicated ongoing practice. Both training and practice are valuable. Consistency is key. There is no magic number. It all depends on the individual. The health, emotional safety and wellness of the people in the room matters most. Being present to the changing states of being of my students and my self. Trusting the information my body is communicating. Being reflective, flexible, open to possibilities, kind, curious and courageous. Slowing down to care for myself and my students. My personal practice includes sitting and walking meditation along with yoga asana and breathing practice. I also consider parenting a very real mindful practice! My practice is essential to being able to do the work I do. Practice helps me to determine where to focus attention in classes, as well as where to let go. For example, when my practice is not particularly strong, I am more inclined to get ‘hooked’ by disruptive behaviors and the temptation to manage it. When my practice is most consistent, I find it easier to co-regulate with students. Most importantly, my practice keeps me connected with my motivation. Having a clear motivation gives access to my creativity, which is where I most effectively teach from.